Earlier in the week we walked the charming streets of Bishkek in Tom Callaghan’s excellent debut, A Killing Winter, which features the debut of Inspector Akyl Borubaev. Callaghan’s brutal post-Soviet noir is brutal and muscular and funny. In a corrupt state full of bad eggs, Borubaev is as hardboiled as they come. We promised you Tom Callaghan would give you the intel on Borubaev, Kyrgyzstan and his writing, and here at Crime Thriller Fella, we deliver. Born in the North of England, Callaghan is quite the gadabout. An inveterate traveller, he divides his time between London, Prague, Dubai and Bishkek. Me, I get a nose-bleed crossing postcodes. Tell us about Akyl Borubaev. Inspector Akyl Borubaev of the Bishkek Murder Squad in Kyrgyzstan is tough, honest and dedicated. Having recently lost his wife to breast cancer, he is in mourning, unsure that he does any good, caught in a deep depression. But the murders continue, and he has to solve them. Where did you get the inspiration for A Winter Killing? I’ve always loved crime fiction, hard-boiled noir for preference, and so that was always going to be the kind of book I’d write. But who needs another crime book set in NYC, or LA, or Miami? Kyrgyzstan is an unknown place, with a lot of problems – what more could a crime writer ask for? As for the plot; (whispers) I made it up. In the novel, Kyrgyzstan is a state engulfed by gangsters, corruption and sleaze – what do you think the good citizens of Bishkek would make of it? After two revolutions in ten years, it’s clear that the Kyrgyz will put up with a lot as long as there is food on the table, but when corruption becomes too overt, they act. What’s your own relationship with the country? I was married to a Kyrgyz woman, I have a Kyrgyz son, and a home in Bishkek. It’s a country I love, for its beauty, for its culture, for its people. It’s a unique place, in an increasingly homogenised world. It’s a very timely novel, what with many of the post-Soviet satellite countries afraid that Russia is flexing its muscles again. What do you think the future holds for Kyrgyzstan? Now that the US air base at Manas has closed, following troop withdrawals from Afghanistan, and with Kyrgyzstan signing trade agreements with Russia over import and export tariffs, people are worried about a decline in living standards. Only time will tell. But I don’t see Putin moving eastwards. How did the spellchecker on your computer cope with some of the more challenging, consonant-heavy names? I ignore it: I know how to spell, to parse a sentence and the rules of grammar. Orwell’s rules are ones I live by. Laundry and doing dishes always seems more important when you stare at a blank screen. As a professional writer, I have no problems with other people reading what I’ve written. I like to think I’m reasonable and open-minded to fair comment. At the same time, I’ll defend my work if I think I’m right. If I can improve my work through someone else’s suggestions, I will. The Classics: Raymond Chandler, Dashiell Hammett, Jim Thompson. Murder taken out of the drawing room and put down a dark alleyway, where it belongs. The Hard-Boiled Americans: Lawrence Block, James Lee Burke, Robert Campbell, Michael Connolly, Robert Crais, James Ellroy, Carl Hiassen, Joe R. Lansdale, Elmore Leonard, Ed McBain, George Pelecanos, Peter Spiegelman, Andrew Vachss. Crisp dialogue, more twists and turns than an electric eel, great locations. 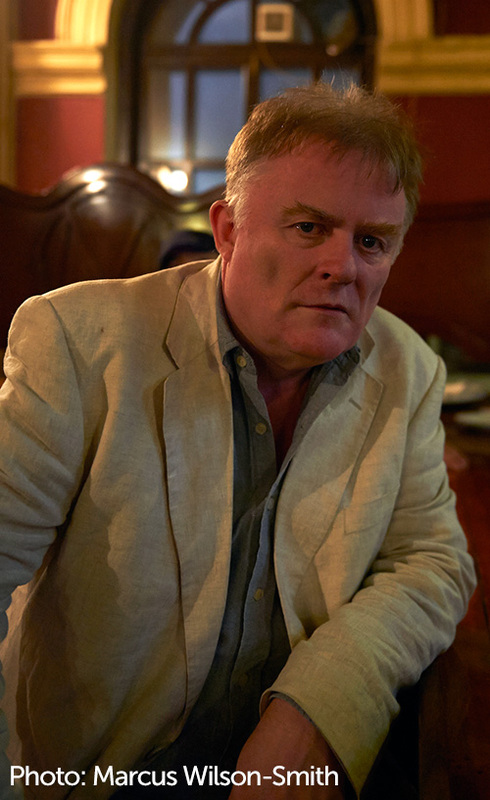 The Bold Brits: Mark Billingham, John Connolly (alright, Irish, but I had to list him somewhere), John Harvey, Mo Hayder, Simon Kernick, Val Mcdermid, Ian Rankin, Peter Robinson. Murder doesn’t just happen in the USA, you know. Foreign Settings: John Burdett (Thailand), Sebastian Fitzek (Germany), Stieg Larrson and Henning Mankell (Sweden), Jo Nesbo (Norway), Mike Nichol (S Africa). Because murder happens to non-English speakers as well. The sequel, A Spring Betrayal, is with my agent and publisher, both of whom are very encouraging, and I’m plotting the third book now. Both of them feature Akyl Borubaev. 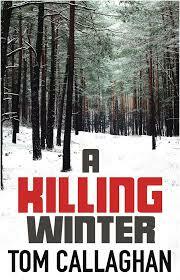 A Killing Winter is already out in German, UK paperback and US publication is in the autumn, and Spanish and Portuguese editions follow next year. Don’t talk about it – nothing diminishes the desire to write as quickly as having told everybody the story. Read a lot. I mean a LOT. Read every day. Write every day. Ask for criticism, not praise; that’s what mirrors are for. Follow Kingsley Amis’ advice: apply the seat of your trousers to the seat of your chair. Learn to spell and use grammar correctly; if you can’t make yourself clearly understood, how is your reader going to cope? Love one genre, but explore others; everything is an ingredient, to use or not, as you see fit. Try not to be afraid of the blank page/screen, but don’t be over-confident either. This entry was posted in Authors, The Intel Interviews and tagged A Killing Winter, A Spring Betrayal, Andrew Vachss, Carl Hiassen, Dashiell Hammett, Ed McBain, Elmore Leonard, George Pelecanos, Henning Mankell, Ian Rankin, Inspector Akyl Borubaev, James Ellroy, James Lee Burke, Jim Thompson, Jo Nesbo, Joe R. Lansdale, John Burdett, John Connolly, John Harvey, Kingsley Amis, Lawrence Block, Mark Billingham, Michael Connolly, Mike Nichol, Mo Hayder, Peter Robinson, Peter Spiegelman, Raymond Chandler, Robert Campbell, Robert Crais, Sebastian Fitzek, Simon Kernick, Stieg Larrson, Tom Callaghan, Val McDermid on March 6, 2015 by Crime Thriller Fella.